Handheld, Pole, Battery-powered, Extended, Single and Double-Sided options. There’s something about the clean lines, defined edges and the uniform precision of a well-trimmed hedge. 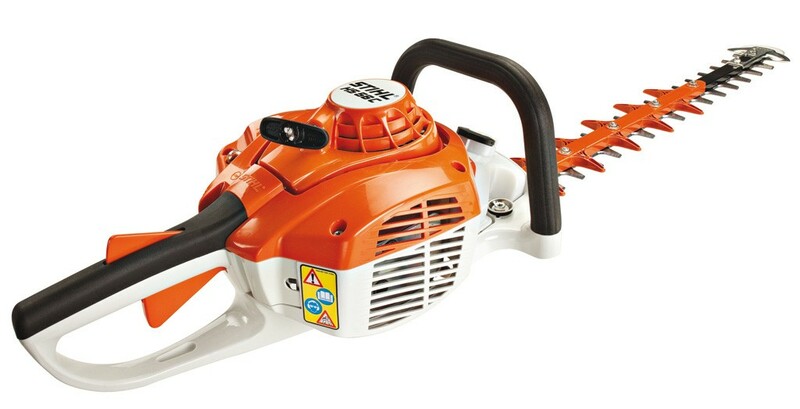 And with a STIHL hedge trimmer, you can bring that something special to your own landscape each and every time, with gasoline, electric and battery-powered hedge trimmers, maintaining those leafy shrubs feels less like physical labor and more like creating a work of art. So what makes STIHL hedge trimmers so special? Just like a perfectly sculpted hedge, STIHL trimmers are designed without excess bulk, leaving only balanced beauty behind. STIHL hedge trimmers feature an outstanding power-to-weight ratio, so you can enjoy superior maneuverability without sacrificing cutting power. And when it comes to those final trimming touches, these hedge trimmers include hardened, precision-ground cutting blades and anti-vibration technology, keeping your hands steady when adding that delicate finesse. No matter the trimming need, we have a hedge trimmer ready to tackle it. Our extended reach hedge trimmers are available in fixed and 135° adjustable-angle blade options, ideal for extra tall and wide shrubs. Our electric and battery-powered trimmers are exceptionally lightweight and can get the job done with little noise and zero exhaust emissions. Whether you’re a homeowner or professional landscaper, STIHL hedge trimmers are a clear-cut winner.